'THE VINE IMPERATIVE' - FINALE! Spy vs. superhuman! Toyo Harada's utopian ambition has been shaken to the depths by a decades-old enemy. Since the day Harada began accruing power, the undercover agents of the Vine's alien empire have watched?and waited. 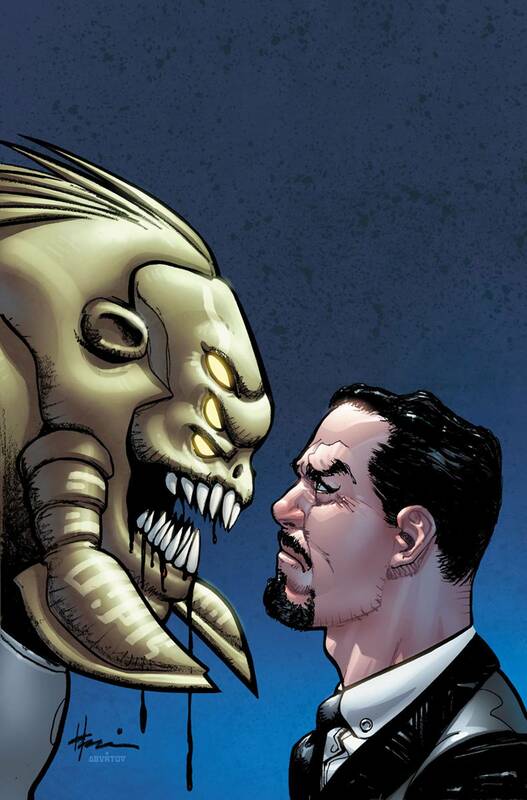 Years later, as Harada strives to reshape the global economy, establish governments friendly to his goals, and gift the ability of space travel to all humankind, the Vine want him put in check - permanently. Now, with saboteurs riddling his organization and the alien assassin called LV-99 slavering to snap his master's neck?are the Vine about to succeed?